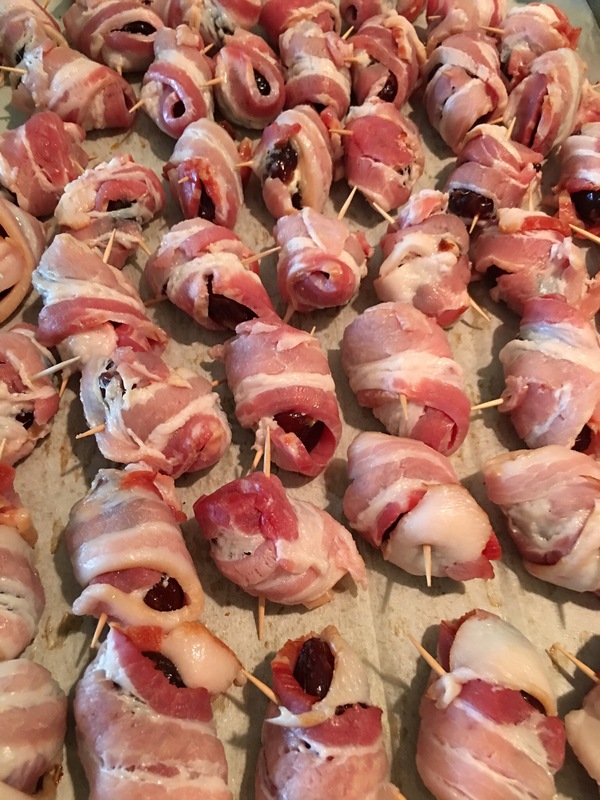 Bacon wrapped date appetizer – Hurried Home Chef! I love parties, and making food for them can be stressful, but I like to follow a few rules. 1. Get help 2. Don’t make everything from scratch 3. Makes things you can do ahead of time 4. There’s nothing wrong with just assembling! 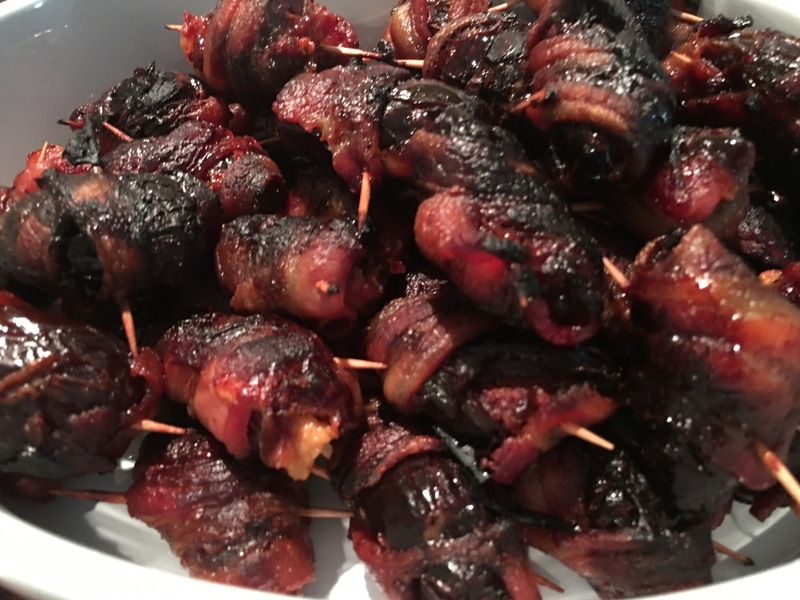 I had bacon wrapped dates awhile back at a tapas place, and I loved the salty and sweet mixture. So I decided to give it a try. 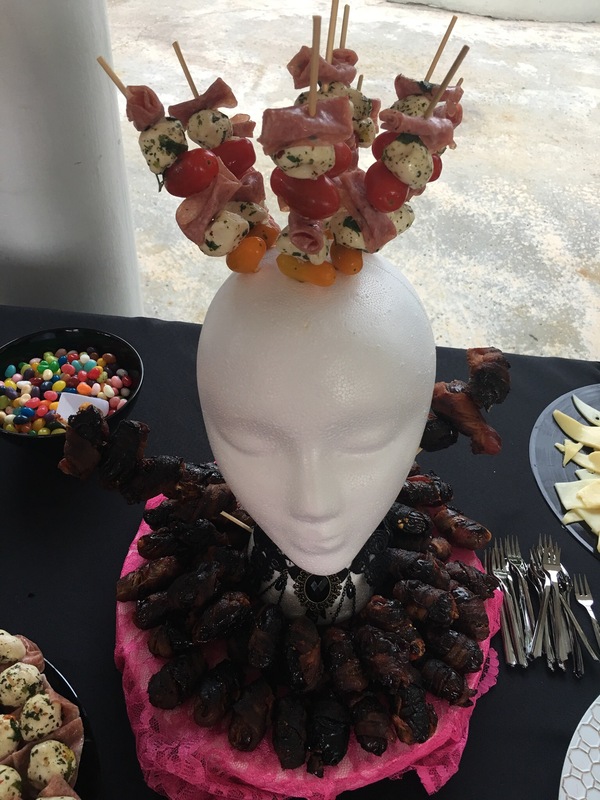 I did these early the same day of the party since they required cooking. 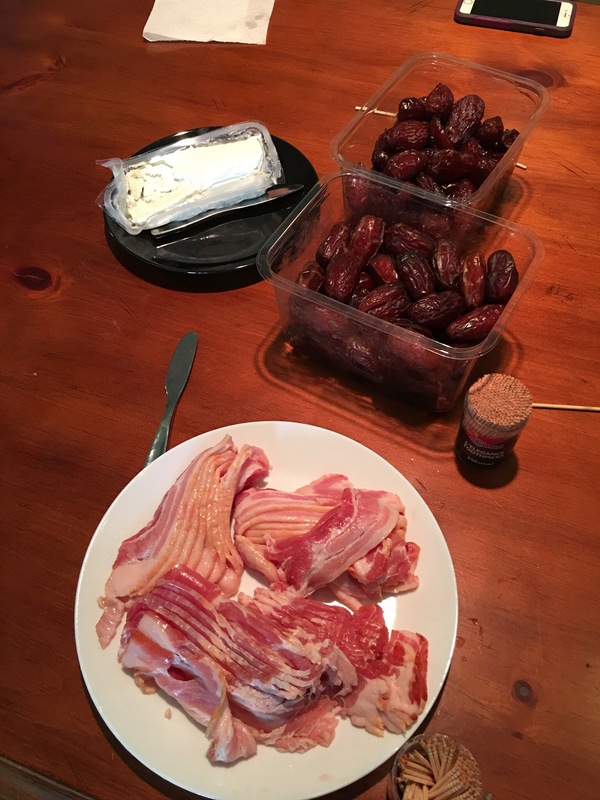 I used pitted dates, goat cheese, and bacon cut in half. First I stuffed the middle with goat cheese, next time I will use a spicy option like a jalapeño goat cheese or even cream cheese. Then wrap with the half slice of bacon and secure with a toothpick. I baked these at 375 for about 50 minutes, turning over half way. We were having a fun party and this became an artistic piece!